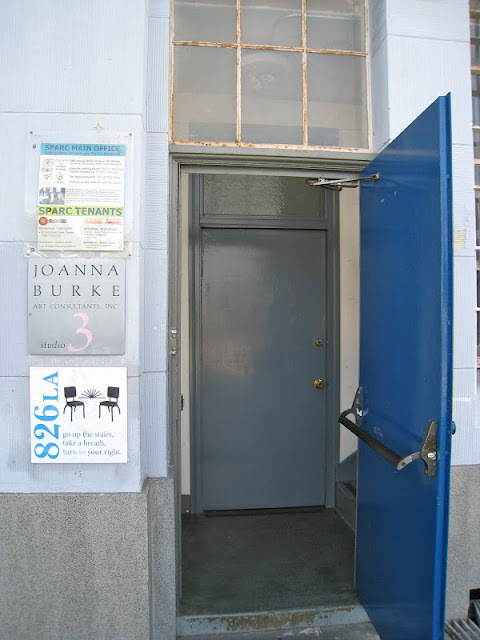 The minute I heard about 826 LA opening in Venice back in 2005, I was on board. I have adored author Dave Eggers since reading his wonderful memoir, A Heartbreaking Work Of Staggering Genius, and gobbled up every word he's written since. He founded 826 Valencia in San Francisco to offer tutoring and creative writing adventures to kids after school, and when it became such a success, it was almost no time before chapters began opening up across the country. 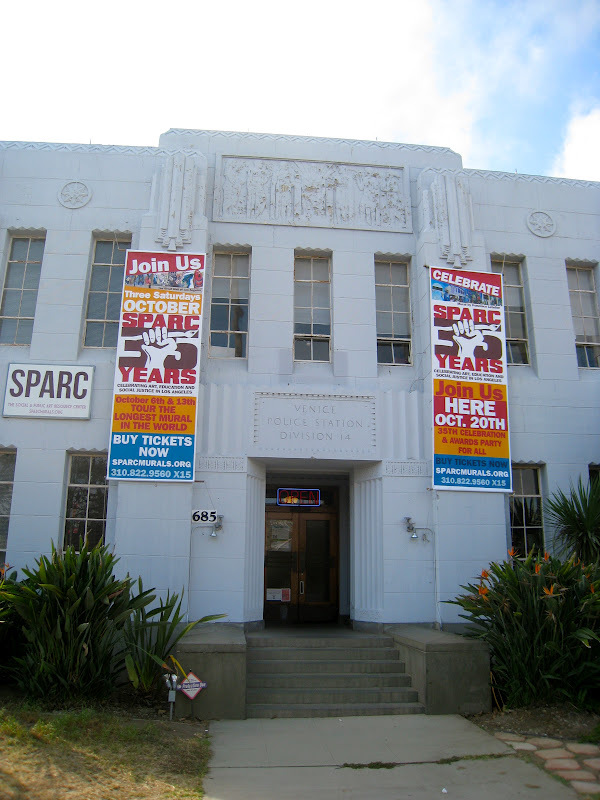 As L.A. is so spread out, we are lucky enough to have two locations, one in Echo Park, and one right here in Venice, upstairs in the SPARC building (though they'll soon be moving a bit more east on Venice Boulevard). I painted chairs and helped assemble Ikea furniture alongside Mr. Eggers to get the Venice location open, and then volunteered with them at Animo Inglewood to get a book by those kids out in a project collaboration with former Lakers coach, Phil Jackson. It was called Rhythm Of The Chain, and it was awesome. Then I got all busy with life and work and stuff and wasn't able to get to 826 during tutoring hours any longer, but have kept track of them over the ensuing years, and am always impressed. When I went to check them out again recently, I was beyond impressed. I was floored. That the tutoring room is PACKED with kids, all excited and bright eyed and eager to learn, to a kid. 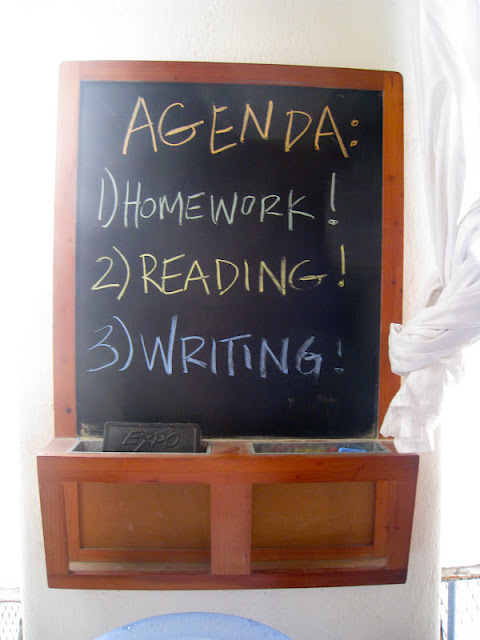 There is a happy buzz in the room of controlled chaos, as the kids (from 6-18) get help from extra nice and helpful adult volunteers with their homework and creative writing stories. 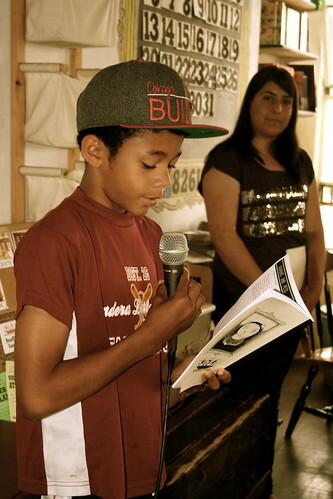 826 also offers class field trips to schools, free workshops, In-School programs, Young Authors' Book Projects, English Language Learner Summer Camp, Spoken Word Summer Camp, they publish a newspaper by the kids (The Venice Wave), have their own publishing brand (Dogtown Press), and help high school students with preparing College essays. All of this is free, all of it is non-profit, and all of it is so inspiring, your heart swells just sitting there observing. As I did one recent day, and watched all the fun, creative interaction between kids and tutors, and the light bulbs popping on as things got figured out, and ideas came to life. Once the kids finish their day's homework, they settle in to write fun stories. As these stories get closer to completion, they move up a basket, and when a child's story is ready for the top basket, all action stops, an announcement is made to the entire room, and that beaming, proud child gets to clang a bell in celebration of their story. Two little guys were so small they had to climb up on a desk and jump to ring the bell, and you could tell they'd been bursting at the seams to do it. Their faces as they received the applause from their peers and the grown-ups were a sheer delight to behold, as you could see them see their own potential ... and it's looking pretty bright for them. (These finished stories will then be part of a reading the students participate in at Beyond Baroque to share with their friends and family). Speaking of bright, ALL of the kids I spoke to said that they were doing much better in school since attending 826. One little 5th grade girl I talked to named Melisha, full of energy and spilling over happiness, said simply, "It's a great place to write". She should know, as she attends 826 every day they're open, and loves it. I asked her what she loves most about Venice, and she said, "826 LA". Whoa. I said, "More than the beach?" A very firm, "Yes". Now THAT is impressive. She continued, "I get 3's and 4's every time because of coming here. 826 LA made me gifted. My Mom was so happy. Now I want to learn more to make my advanced level higher, " she said with excited eyes blazing. I high-fived her for that, and for talking to me, and she went back to her volunteer, saying, "I'm done with my meeting." Ready to get back to it. How great. As I have found with my previous creative writing teachings with kids, their purity and unabashed honesty in writing makes your own writing better. I spoke with volunteer named Lili Flanders, a writer now in her fifth year of tutoring at 826, and she wholeheartedly agreed. She said, "I fell in love with the creative cacophony that is 826 ... It amazes me the turnaround you'll see in kids from being here for two hours a day." She explained that the young people running the place are very impressive, care deeply about grass-roots education, and they give you everything you need to be a volunteer, including a true feeling of appreciation every time. Because the first rule of 826 is that everyone is there because they WANT to be, students and volunteers alike. Lili went on to say, "Being here gives these kids power over their craft, and it's really happy learning ... The connection with the kids is the reward, and I usually leave here dizzy and happy and having used every bit of me and my time." What a satisfying feeling! 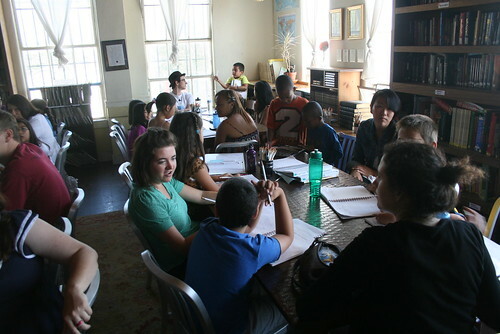 The proof of 826's success is in those little happy, proud, inquisitive faces ... and their grades. Given attention, encouragement, knowledge, and respect, kids thrive. It's plainly obvious that 826 offers all of this, in abundance. When parents arrive to pick up their children, it's a happy reunion as they hear their kid gush about what they did that day. As a busy, working parent ... what a joy to know your child is not only learning, but thrilled about it. Everyone wins in this place. A recent chap book published by the 826LA kids (through their "Barnacle & Barnacle Publishers") was titled Is Venice Beautiful In The Night? 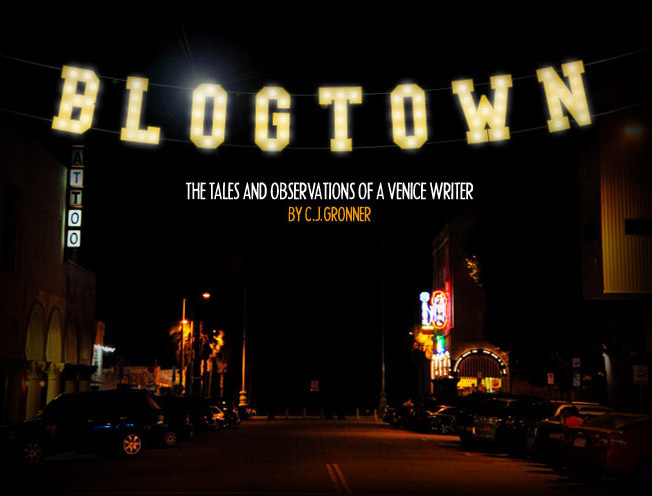 featuring stories by the young writers about Venice, California and Venice, Italy. I would answer that Venice is extremely beautiful at all times, but maybe never more so than on a golden afternoon, with the sun streaming in over the heads of the kids of our town, as they write about what they love. This is a perfectly wonderful organization, and they can always use more volunteers and/or donations. Contact them at IWANTTOHELP@826LA.org and feel excellent about it. Photos by 826 (with people in them) and me. Abbot Kinney Street Festival 2012!